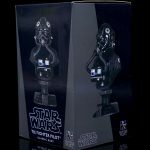 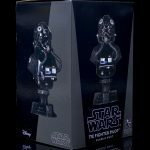 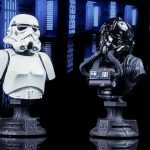 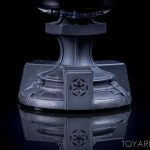 Gentle Giant has teamed up with Gamestop to offer an exclusive line of Star Wars Classic Mini Busts. 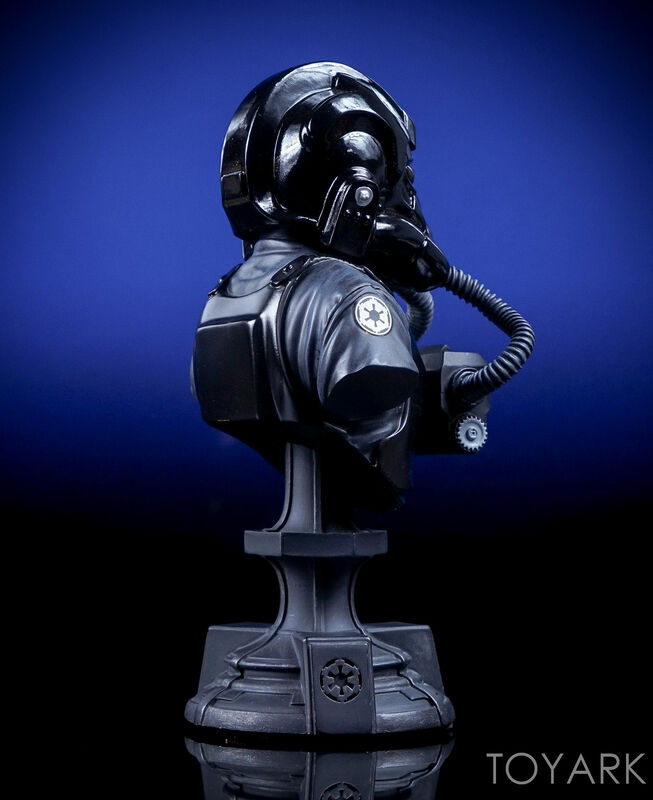 The busts have also been made available, in limited quantities, to their Premier Guild Members. 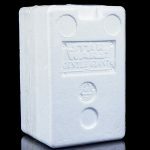 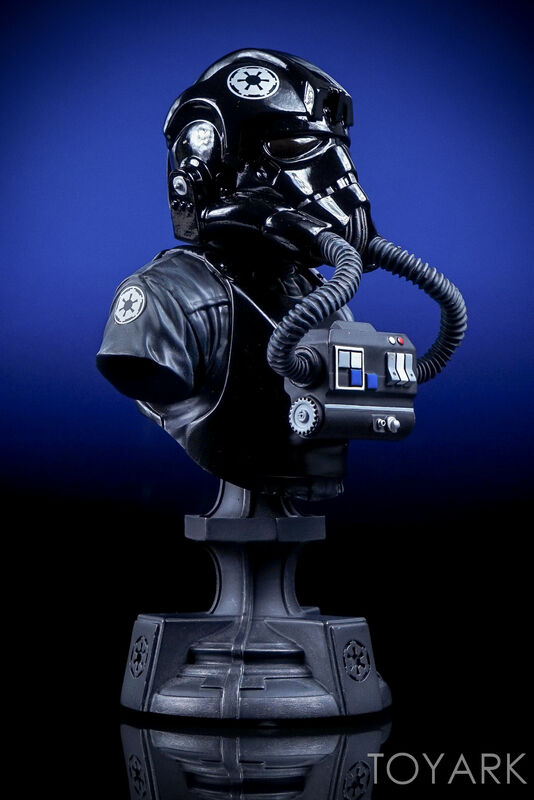 We’ve previously posted galleries for the Darth Vader Classic Bust as well as the Stormtrooper Classic Bust. 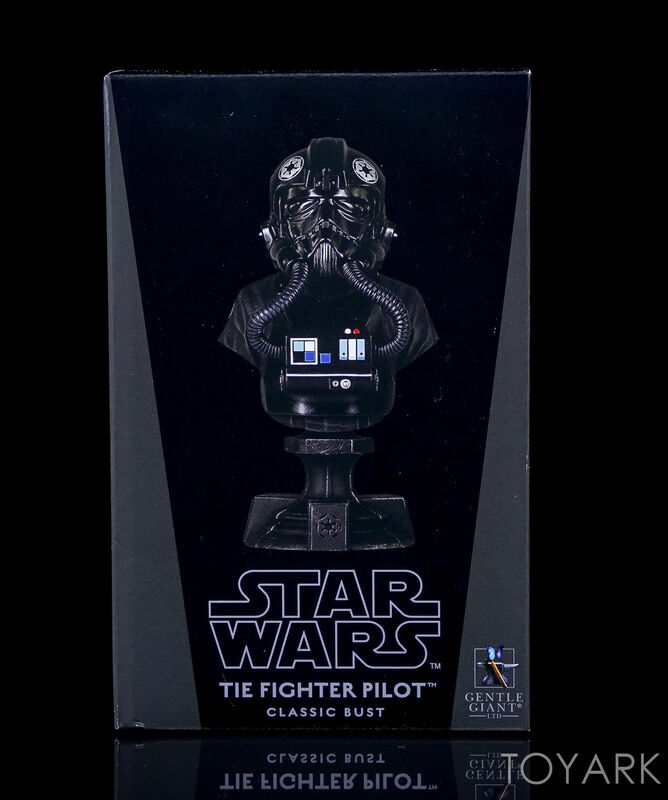 Today we are taking a look at their new TIE Fighter Pilot Classic Bust. 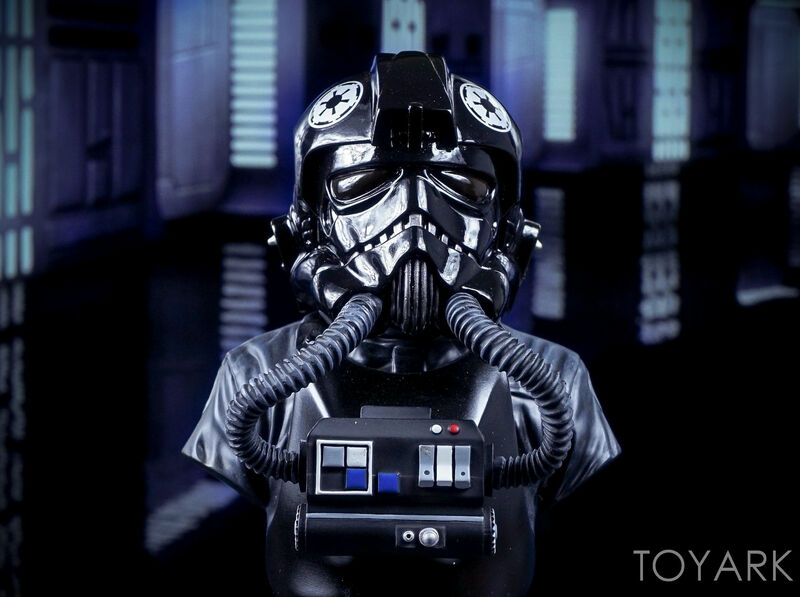 This 1/6 scale mini bust is in stores now. 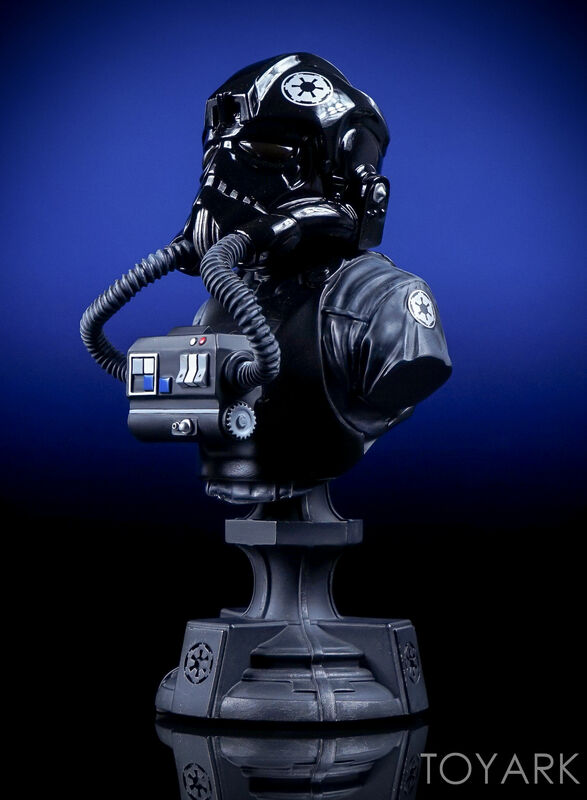 It stands about 6″ tall and is made of polyresin and each bust is hand painted. 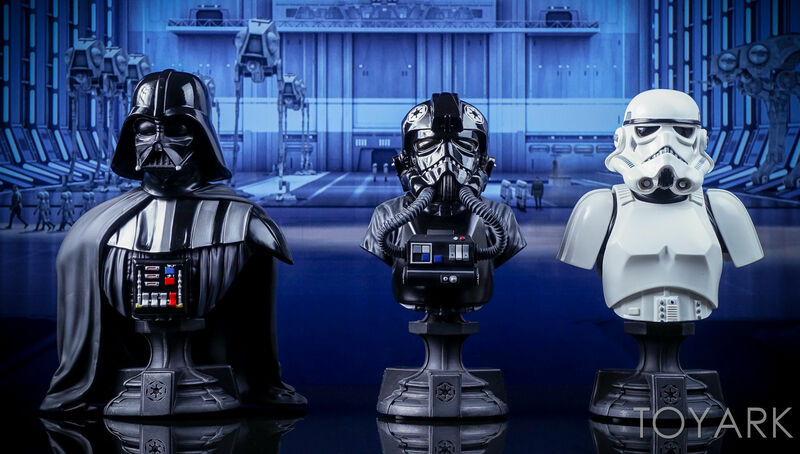 We’re taking a look at the PGM version, which are limited to just 300 pieces. 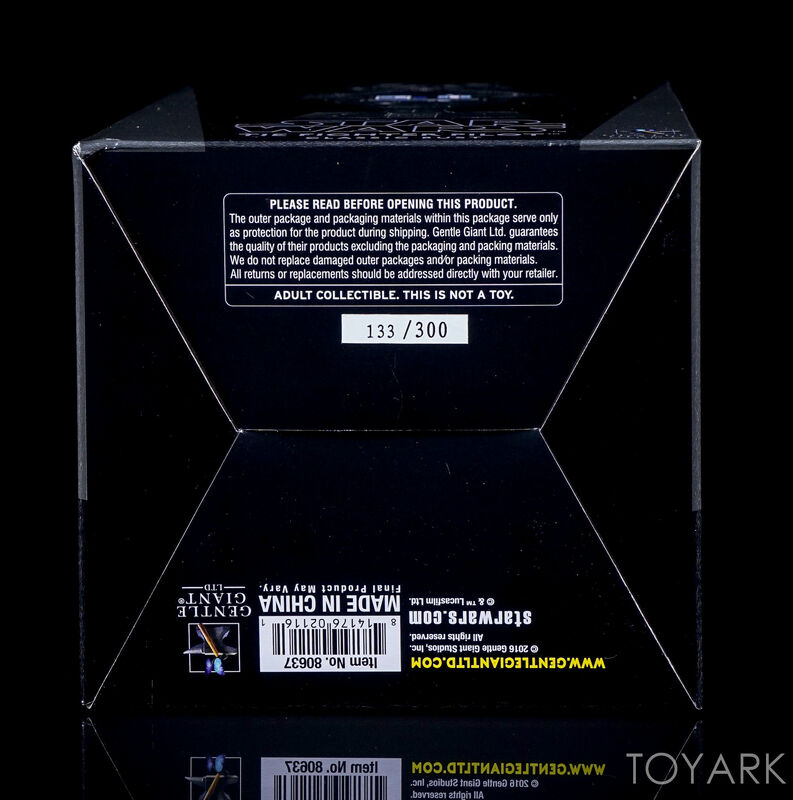 These are also hand numbered. 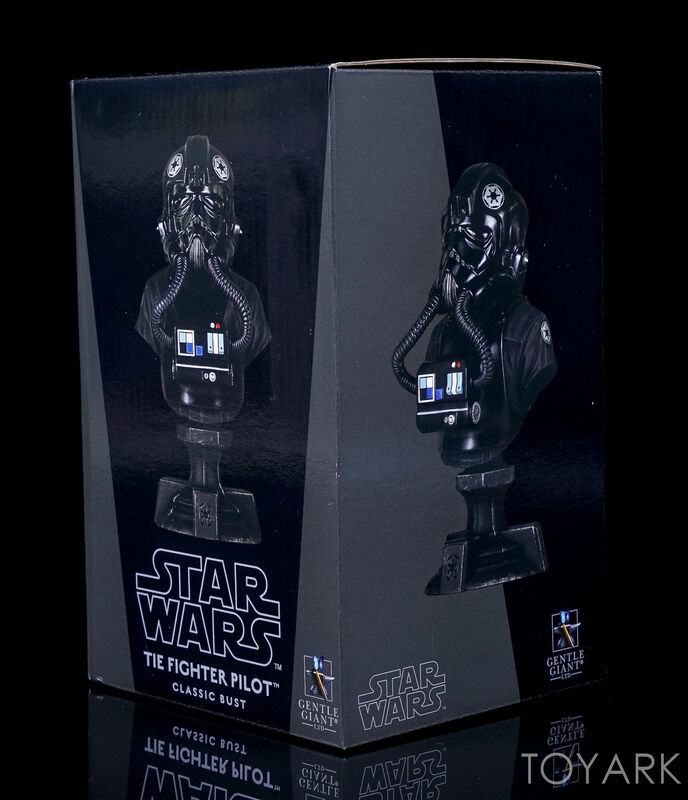 Fans can grab it directly from Gamestop by Clicking Here. 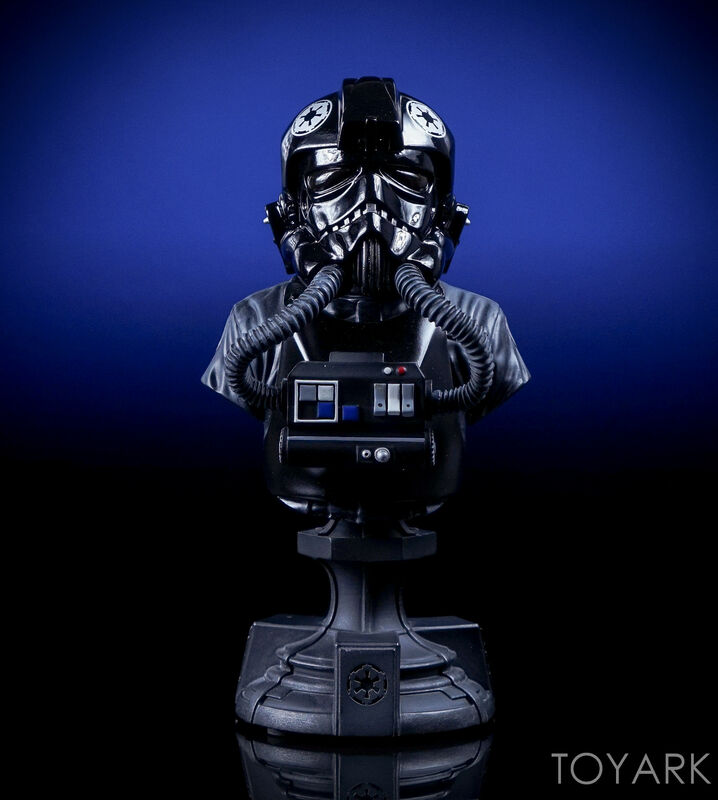 The bust is priced at $79.99. 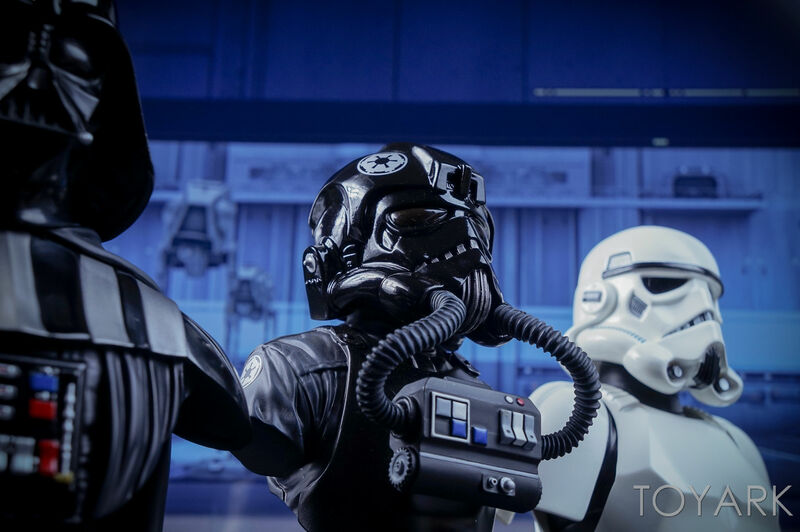 Thanks to Gentle Giant, who sent he bust along for us to check out, we have a full gallery and review. 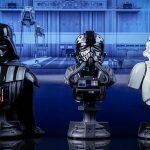 You can check it out by reading on. 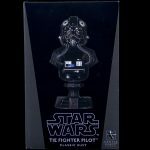 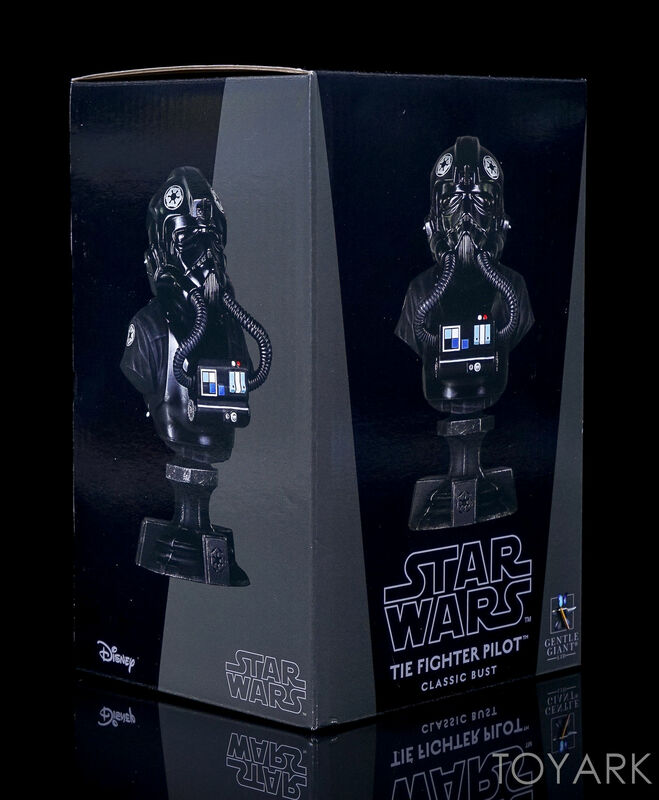 The TIE Fighter Pilot comes packed in a windowless, collector friendly box. 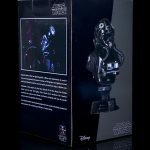 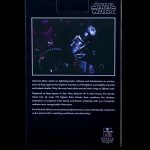 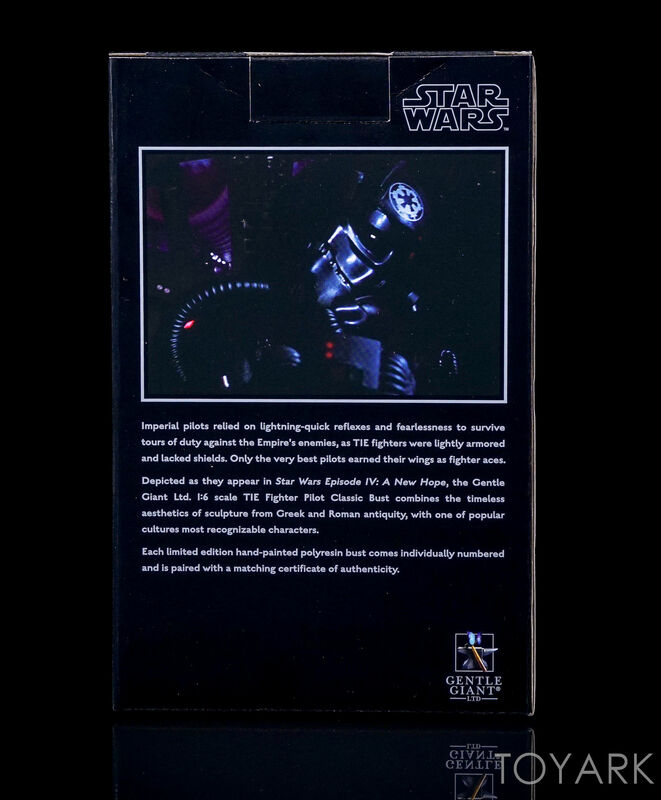 The packaging features photos of the bust, as well as a bio for the Imperial Pilot. 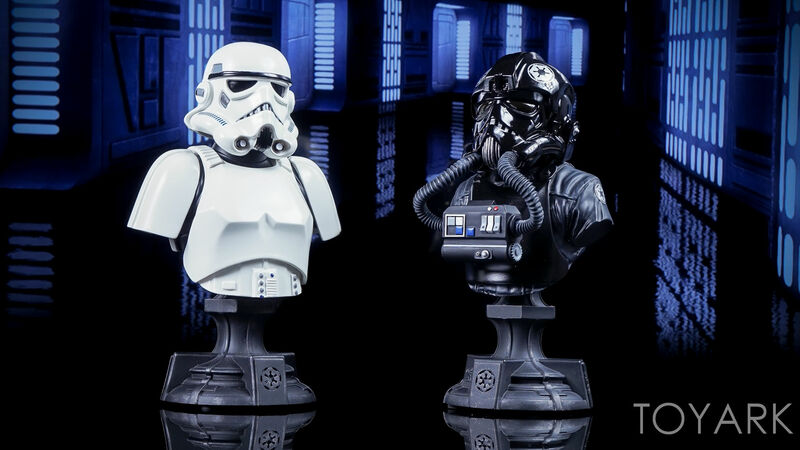 The design is the same as the previously released busts, so they all look quite nice together. 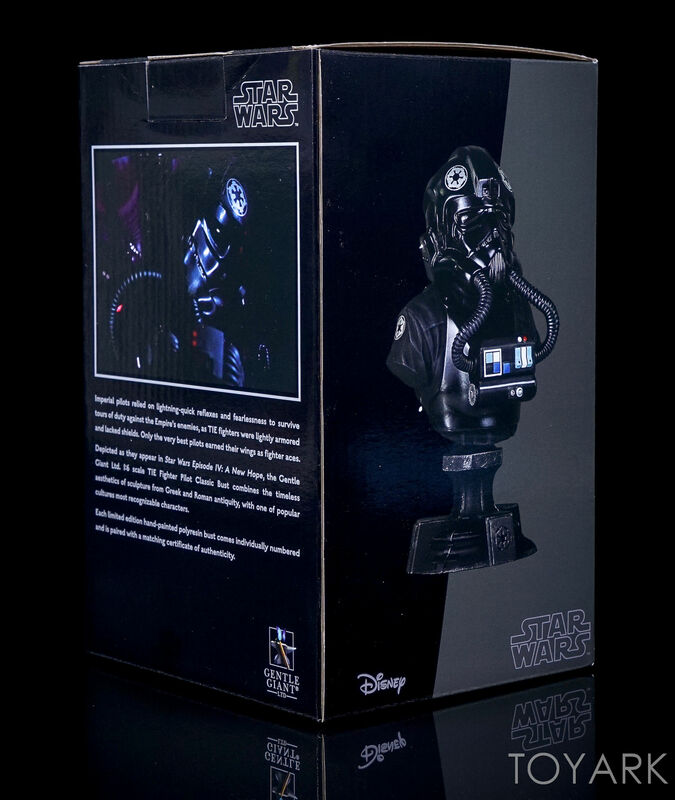 Inside the box, the bust sits in a full styrofoam tray, which has a nice Star Wars logo on it. 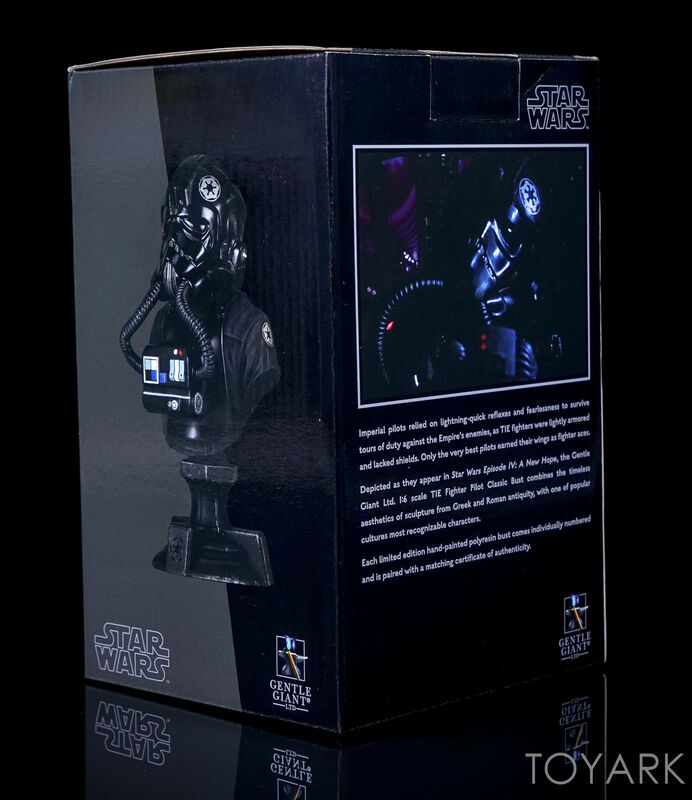 The bust is wrapped in a plastic bag, and can easily be placed back inside for easy storage. 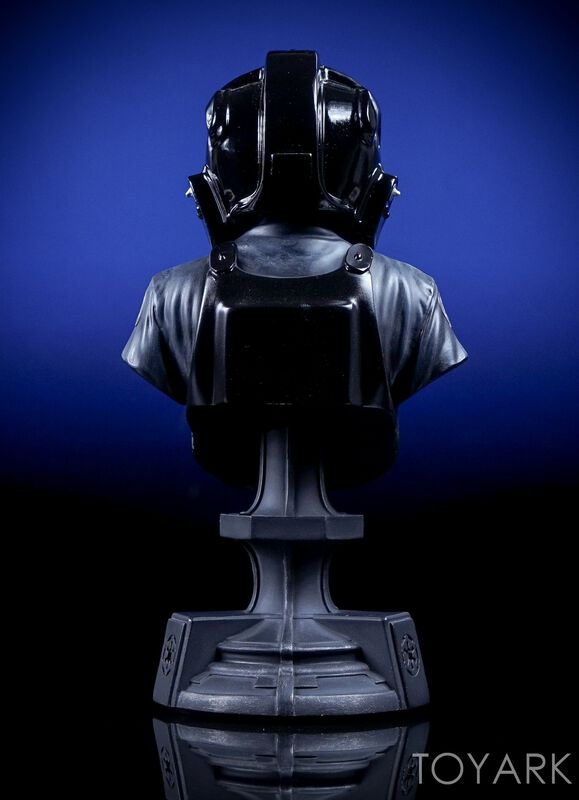 Once opened, the bust itself is ready for display. 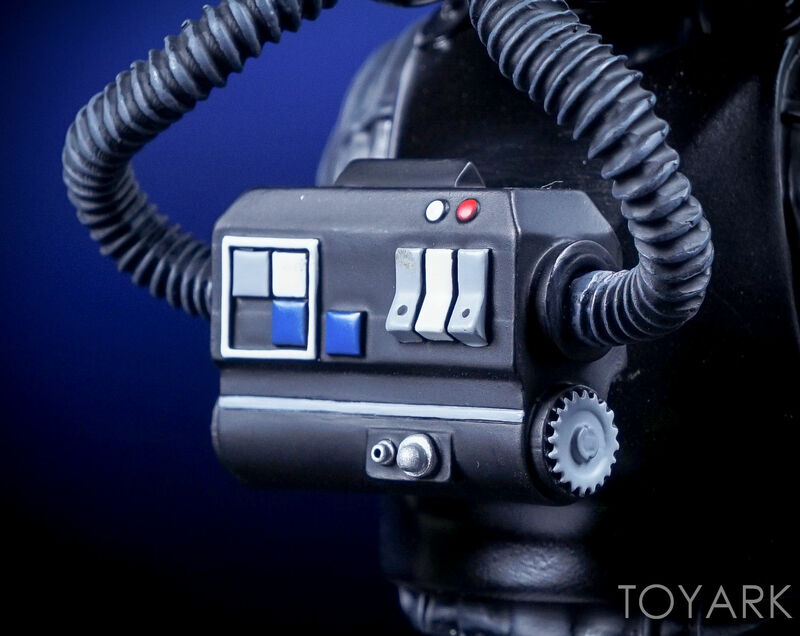 There’s no assembly required and no interchangeable parts. 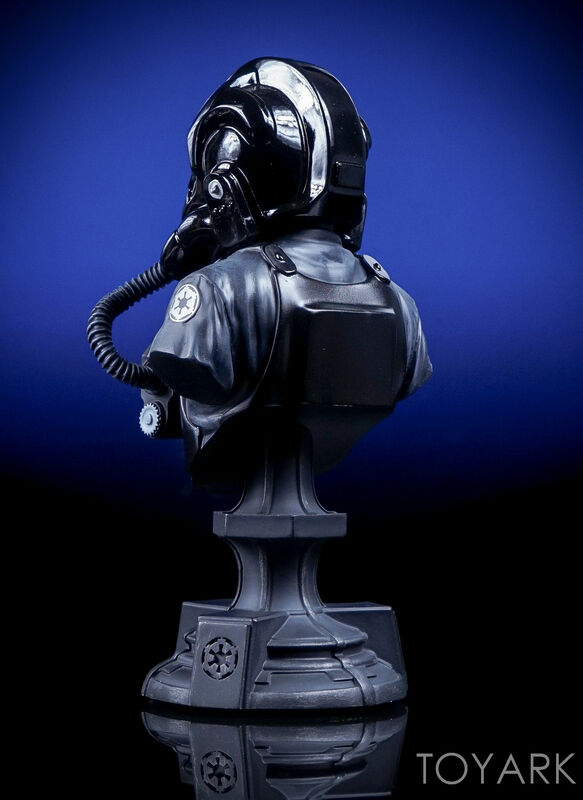 With the entire bust cast in polyresin, it has a nice bit of weight to it, and also feels nice and solid. 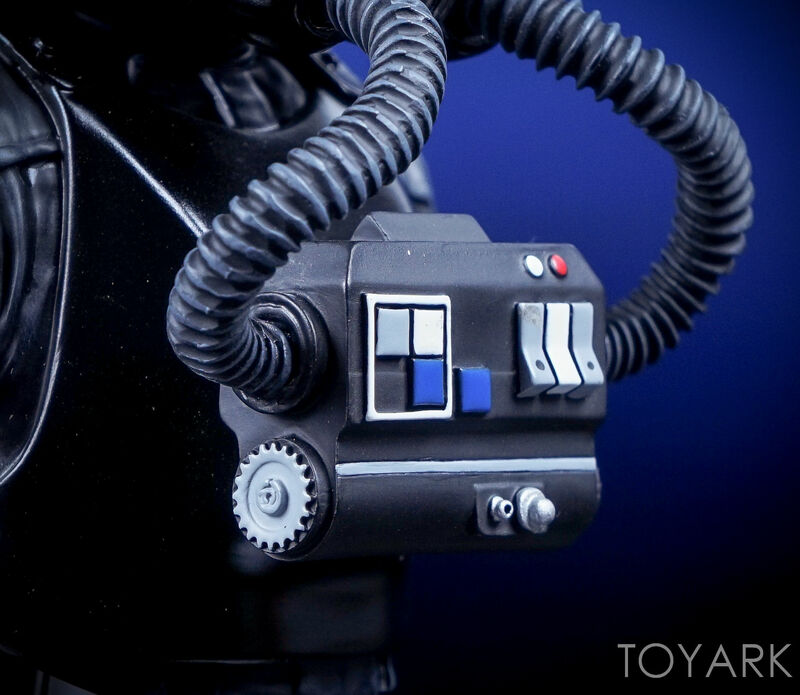 None of the smaller details pieces ever feels like they would snap of. 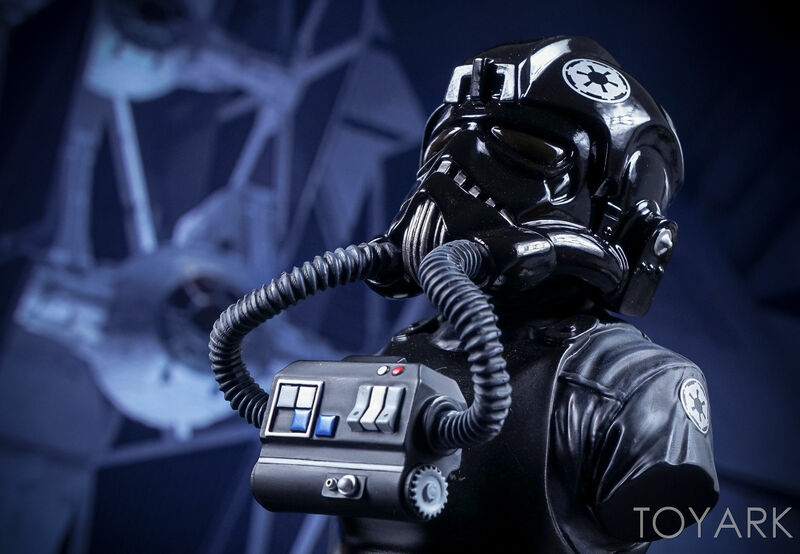 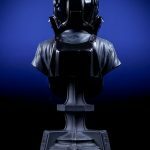 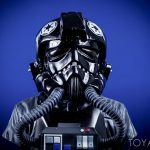 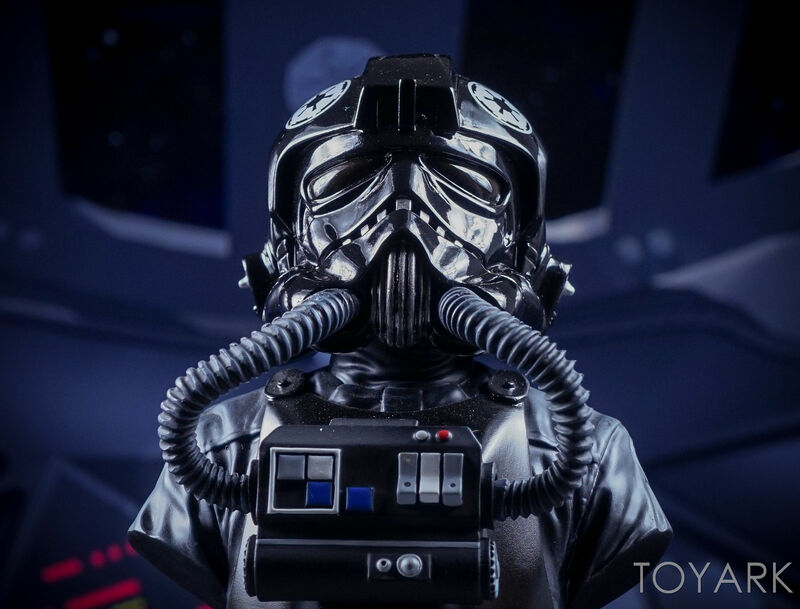 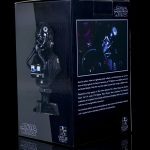 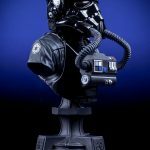 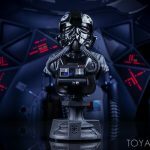 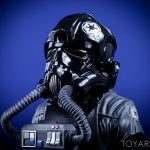 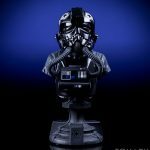 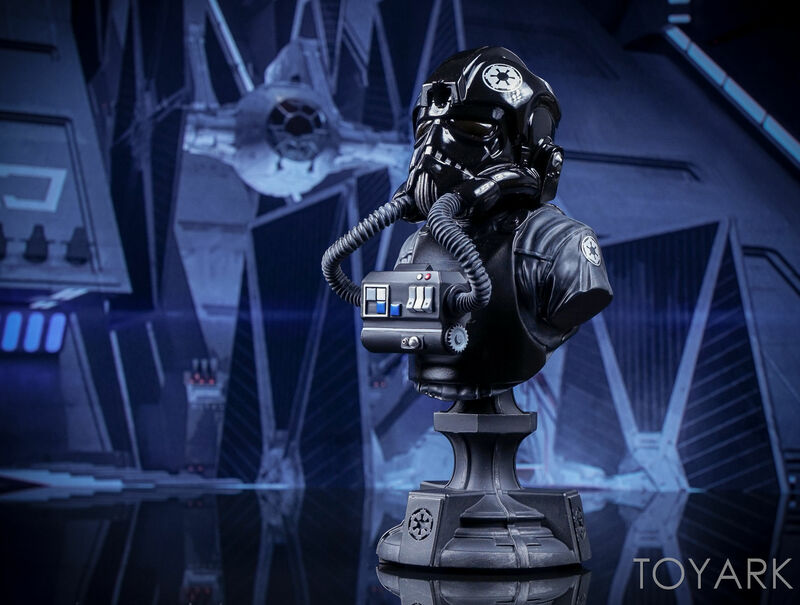 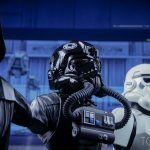 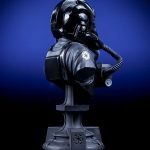 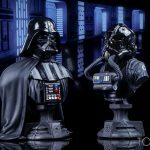 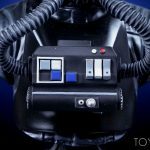 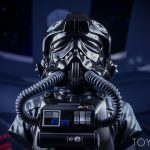 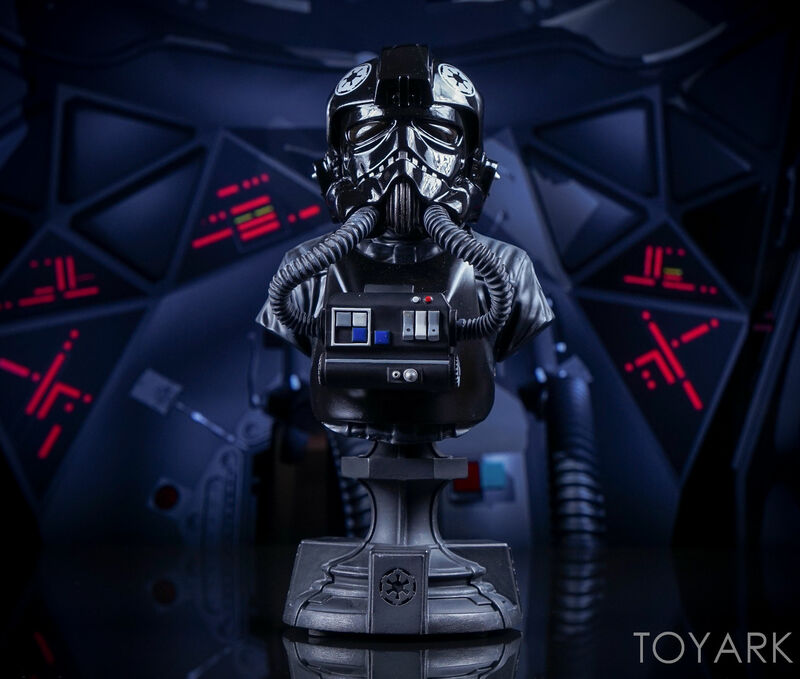 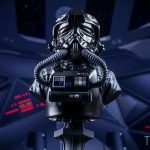 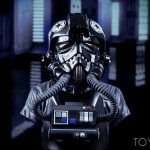 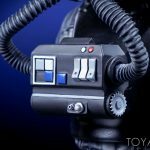 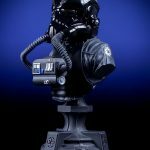 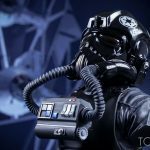 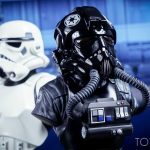 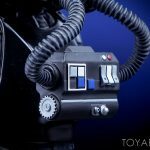 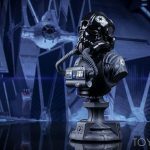 The 6″ tall bust showcases the TIE Fighter Pilot from the waist up, and includes the breathing apparatus that connects to the helmet. 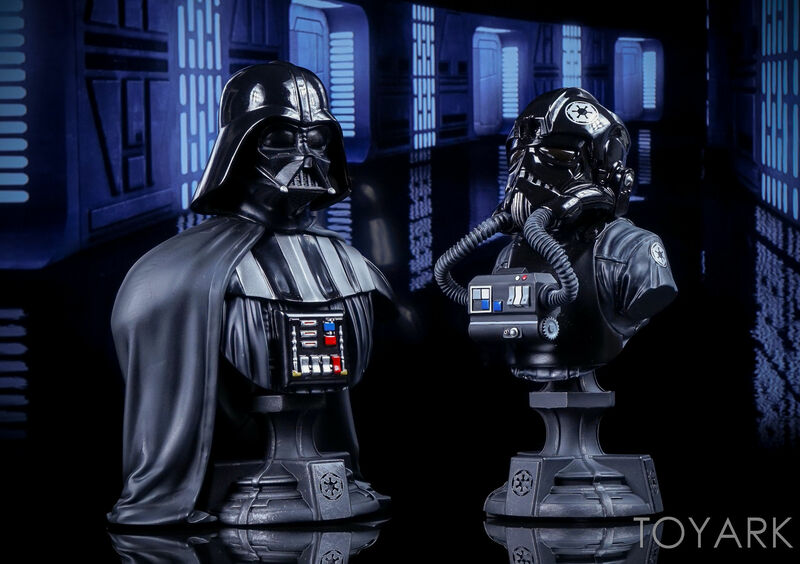 The tubes themselves are also made of polyresin, so there’s no fear of bending them. 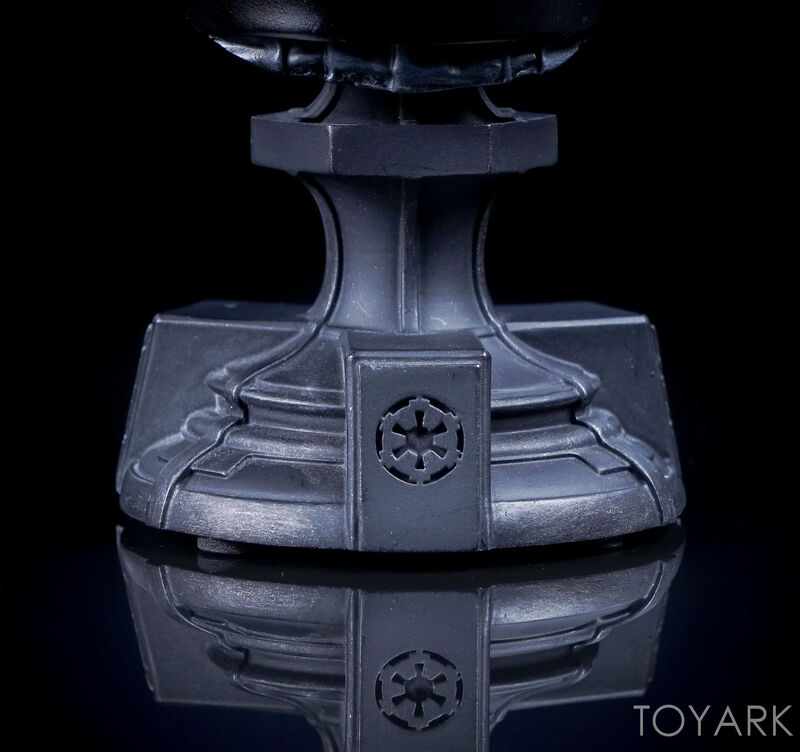 The sculpted details are fantastic. 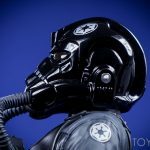 The helmet, especially, features some nice mix of texturing, from the smoother main helmet, to finely textured metallic pieces on the sides of the helmet. 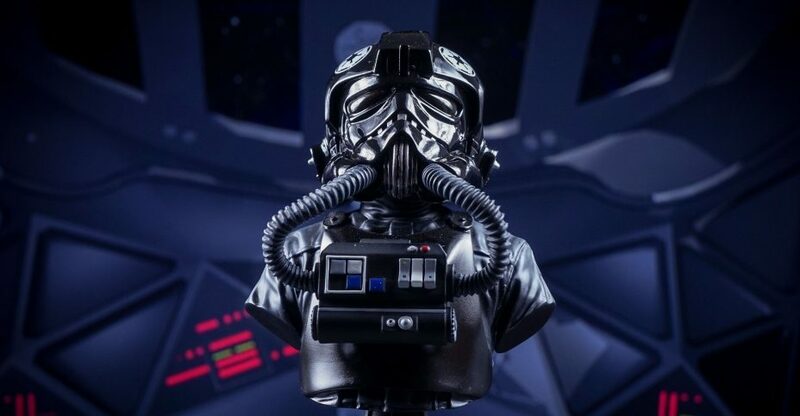 Combined with the same Greek and Roman inspired base used in the other busts, the TIE Fighter Pilot has fits in well, and gives off a nice iconic look. 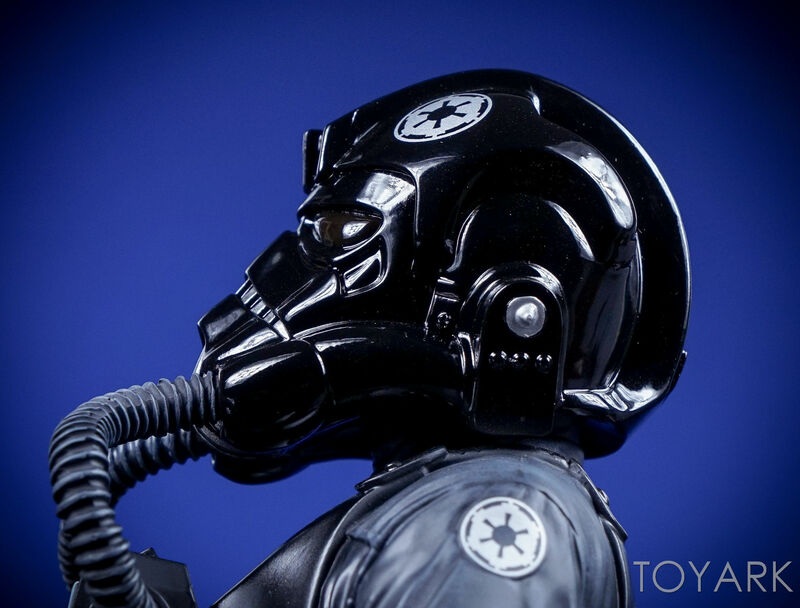 While most of the bust features a more matte look to it, the helmet has a shinier, high gloss paint application. 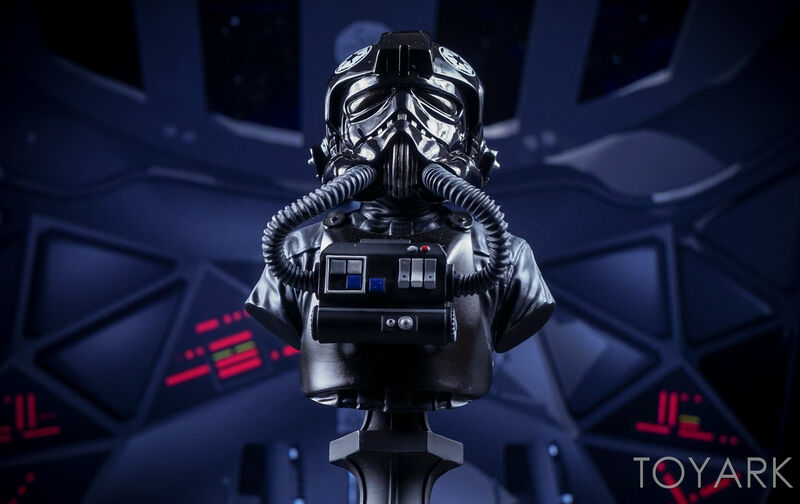 The paint, which reminds me of automotive paint, is similar to the style used on the Darth Vader and Stormtrooper busts. 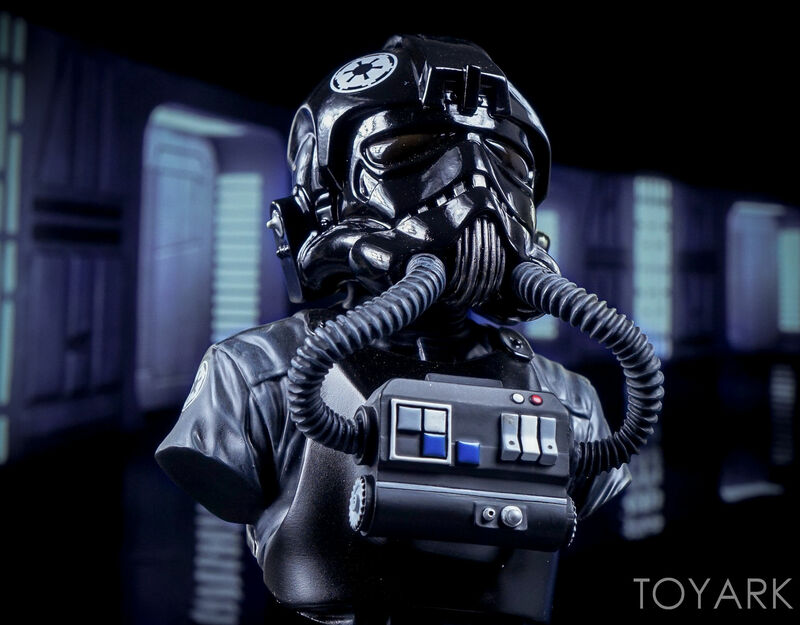 It gives it a very authentic, high quality armored look. 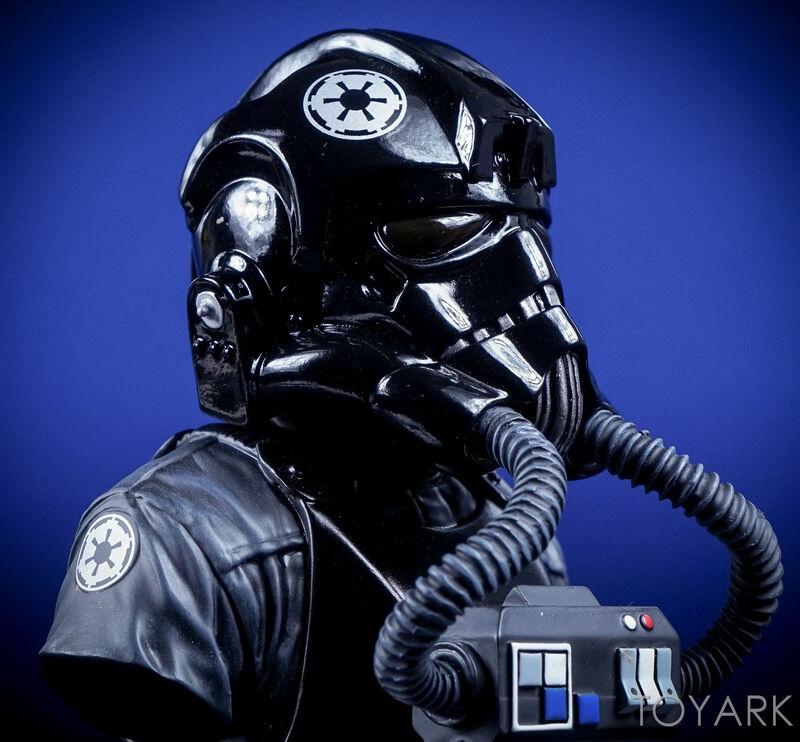 The Imperial logos on the shoulders and sides of the helmet appear to be tampos, digitally added on. 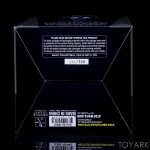 Those have nice, clean edges. 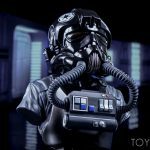 The hand painted look comes into ply with the subtle paint layers on the clothing and the hand painted buttons, knobs and tubes. Like the Vader and Trooper, the bust, especially the highly glossy helmet, attracts dust like crazy. 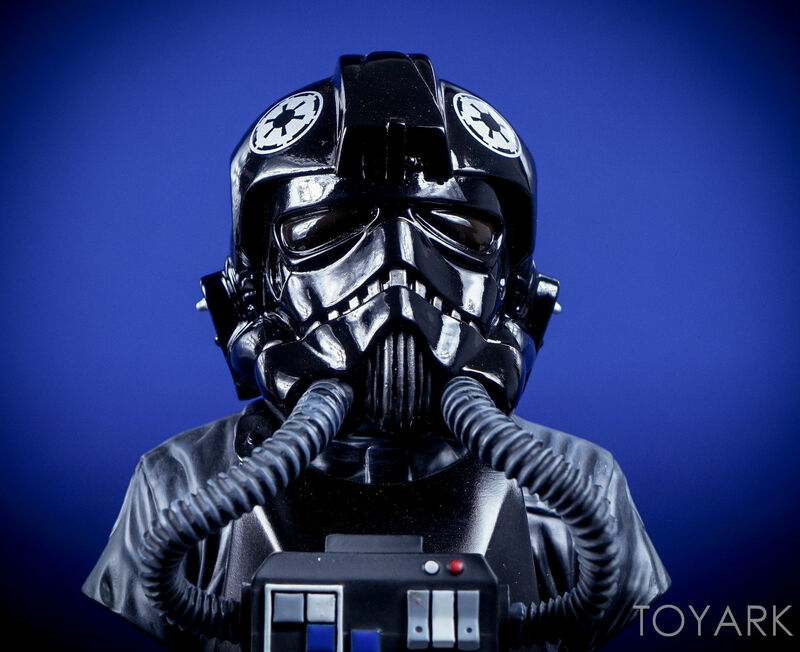 I wiped the helmet down between shots, and it would already be covered by the time I snapped the photo. Just something to be aware of. 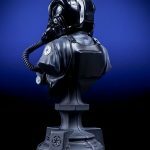 Star Wars fans looking for something other than figures to have on display should be quite pleased with the TIE Fighter Pilot bust. 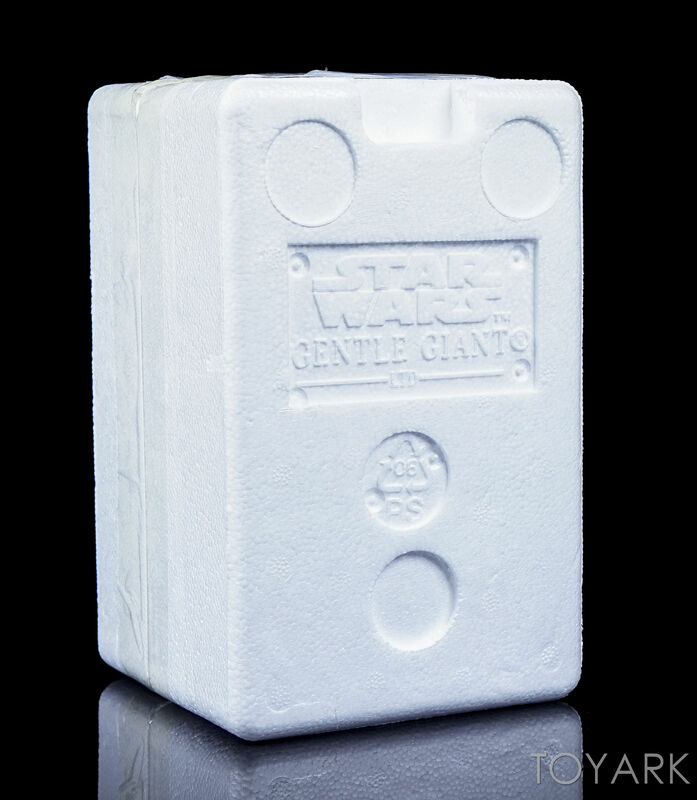 Gentle giant has always handled these collectibles with great care, and a keen eye for detail. 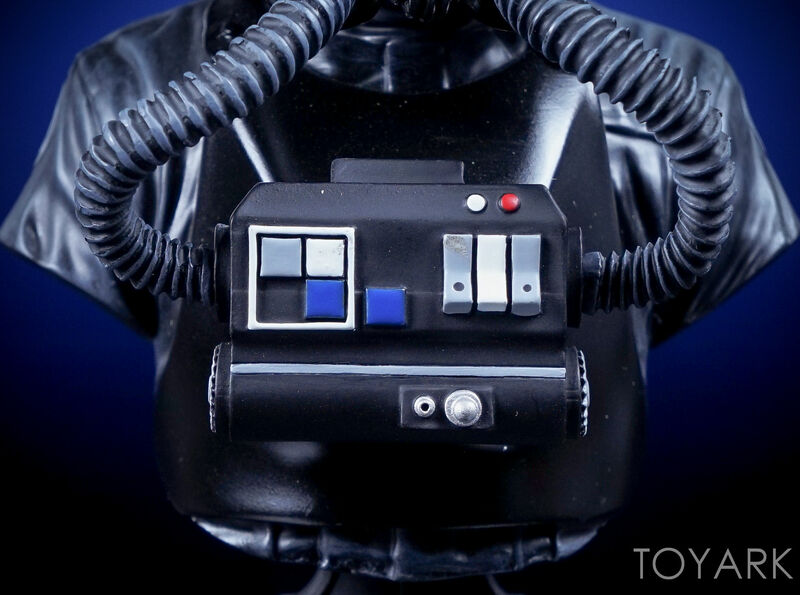 This is no exception. 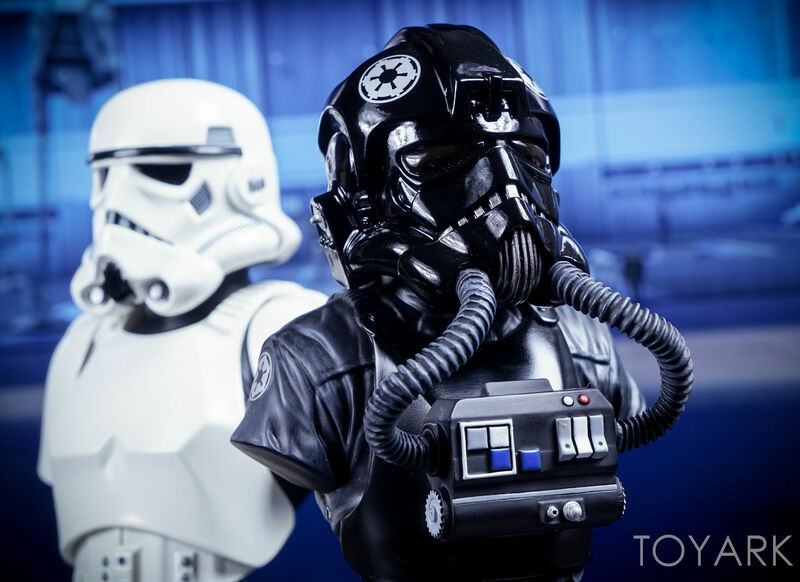 Check out a few select photos below, with the full gallery after that.